Honestly, why spend more when you can save more? If ‘frugal’, ‘thrifty’, ‘money-saving’, ‘bargain-hunting’, and ‘economical’ are words that resonates with you the most, you know you’re all about that sale life. And when it comes to savings, there’s nothing better than Member’s Day sales! The adrenaline rush that comes with the exclusivity of being a member is something we prudent fellas live for. You receive an email alerting you that your favourite day or season of the year is coming soon. You immediately go on hunting mode and start surveying high and low for the items you potentially want to buy or have been eyeing for quite some time. Once you’re pretty much happy with your virtual window shopping, you put it all in your wishlist, hoping to put it on the checkout cart when the time comes. During this crucial time, no one is to text, call or disturb you. It is that important! 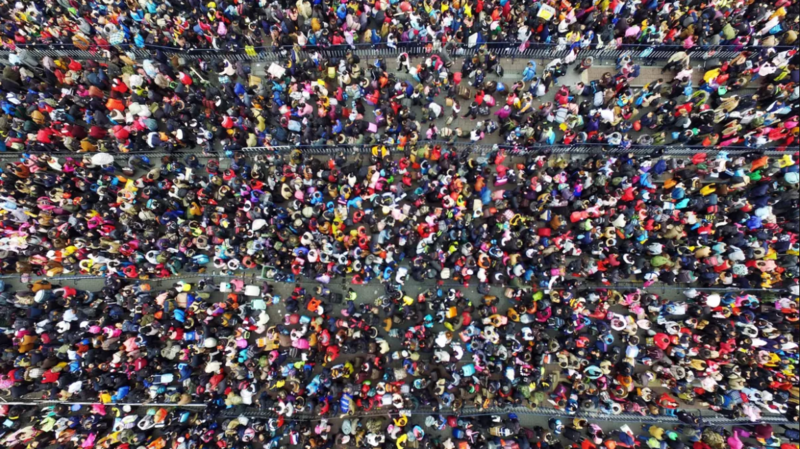 #2 Traffic Jam, Human Jam; Bring It On! You’ve mentally prepared yourself for the D-day. You made sure you have all your important ‘documents’ – member card, credit/debit card, and extra cash. You plan out your day and try to come as early as possible to grab the best deals and to make sure the item you want isn’t sold out. Traffic jam, parking jam, or human jam don’t faze you even. 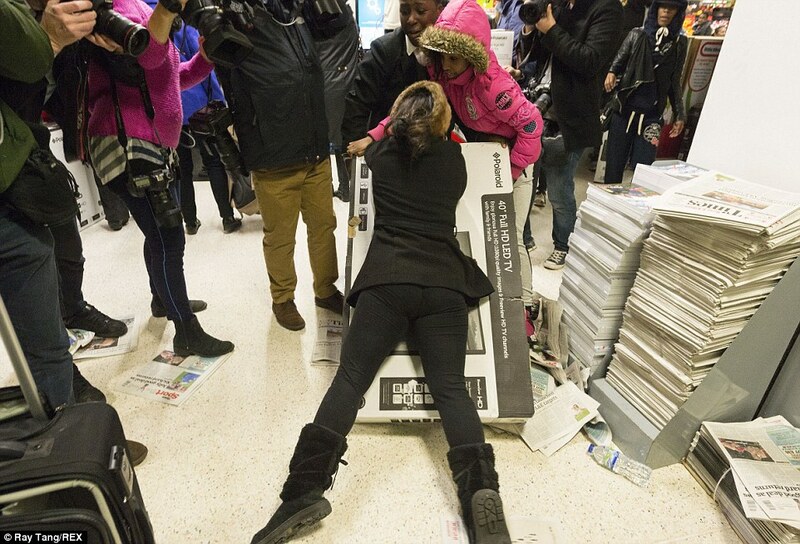 It doesn’t matter if you’re going through all these just to get an additional five per cent discount. You handle it calmly because you know the outcome of the trip is worth all the hassle. You eye that lipstick you’ve secretly wanted for quite some time. It’s on sale and there’s only one left so you make a dash to grab it before anyone does. Lo and behold, another girl arrives at the display shelf the same time as you and reaches for the same exact item. Both of you exchange angry glances. Only one person can bring home the ‘coveted’ item… who will win? So, you wait and secretly pray that the other person doesn’t like the colour of the lipstick and put it back on the shelf. Before it even touches the cold, hard plastic of the display counter, you would have already swooped it up like a vulture and making your way to the counter. Although you may arrive equipped with what you have in mind, nothing beats browsing everything that’s in the store. Which is why you don’t mind spending hours in the same store, going back and forth each aisle or level because, hey, if an item is on sale but you don’t need it, you need it. You’ll definitely lose track of time (and money) by the time you make it to the payment counter. Well, as the saying goes: ‘Time sure flies when you’re having fun… and funds’. 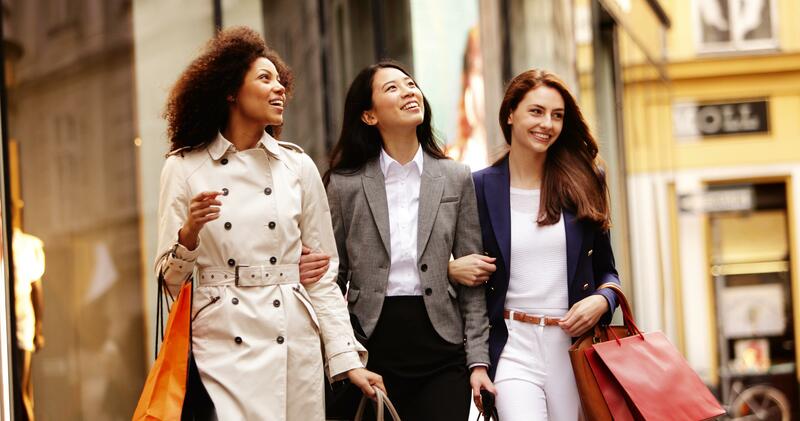 Every time you apply for your annual leave it’s usually for one sole purpose – to make your way to the Member’s Day sale. Holiday? What holiday? Your idea of ‘holiday’ is browsing a store for hours at your own leisure, knowing you’ve made a big saving on that day and going home feeling full and content from all your purchases. 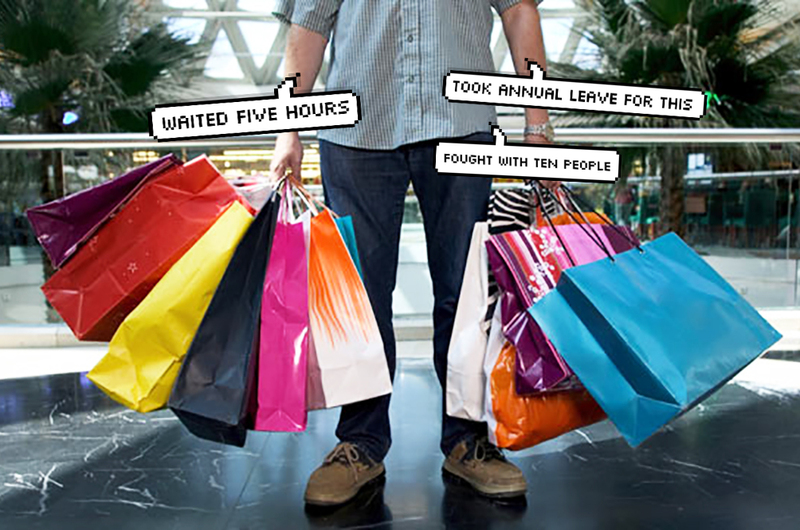 You know you’re a true Member’s Day person when you’re willing to burn one day of annual leave just to shop till you drop. Well, if you could relate to all of these things, we feel you! But if you’re a Senheng PlusOne member, chances of you going through the scenarios mentioned above are slim to none as every day for the next two months is Member’s Day! Yay! Senheng’s legendary PlusOne Member’s Day Sale is making its return for the 41st time from 1st November to 31st December 2018. During this period, members can enjoy exclusive rebates and discounts on electrical items at all outlets nationwide. Not just that, they can also enjoy greater savings by spending their PlusOne points on the electrical items they want. 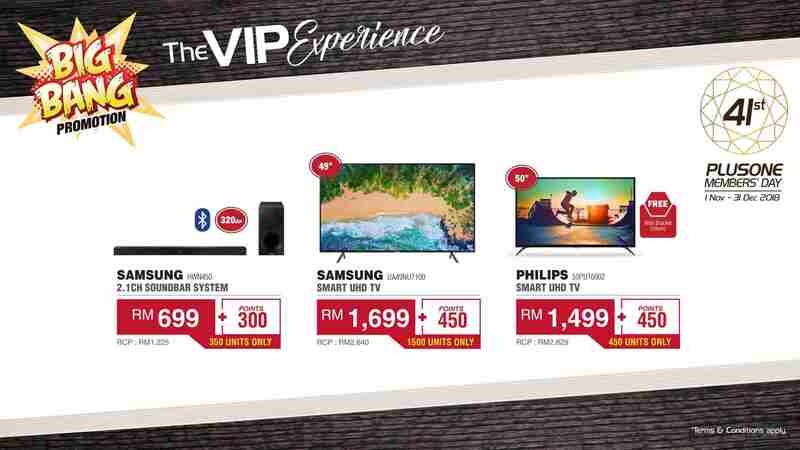 For example, you can score yourself a 49-inch Samsung Smart UHD TV for just RM1,699 + 450 PlusOne points instead of splurging RM2,460 on the same TV outside. How awesome is that? You can check out the full Member’s Day brochure on their website by clicking here. That’s not all: you will also get a RM100 cash voucher during the period, so all you need to do is to check your e-wallet in the Senheng app (please download the app if you haven’t already). Also, Senheng has these exclusive deals to offer you with their ‘Syiok-ing Deals’! 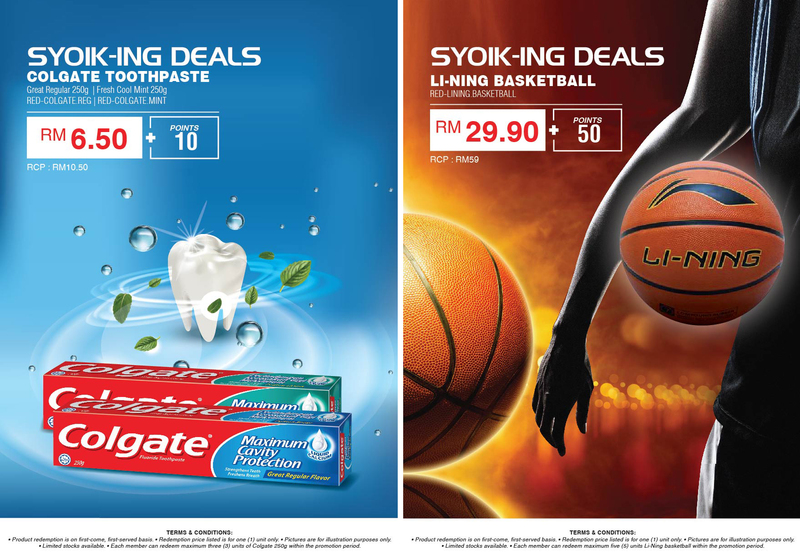 From as low as RM6.50, you can get a tube of Colgate toothpaste or if you’re a basketball fan, you can bring home a Li-Ning ball for just RM29.90. Bonus: you will also get to enjoy an additional one-year warranty for all the electrical items you purchase at Senheng – for free! Now you can have an extra peace of mind when you shop at Senheng. So, what are you waiting for? Visit the nearest Senheng store near you today or check out their website by clicking on this link.